Combine sugars and flour in a pot (or in the top of a double boiler) and gradually add scalded milk. Stir constantly until smooth. Add salt and cook for approximately 15 minutes, stirring occasionally until thickened. Pour part of the hot mixture into the beaten egg yolks, stirring quickly. Pour back into pot (or double boiler) and mix well. Cook not more than a further 3 minutes, stirring constantly. Add butter and stir until melted. Leave to cool. Add vanilla. Pour into a 9" baked pie shell. Beat the left over 3 egg whites until light and fluffy. Gradually add approximately 2 tablespoons of white sugar and beat until mixture forms soft peaks. 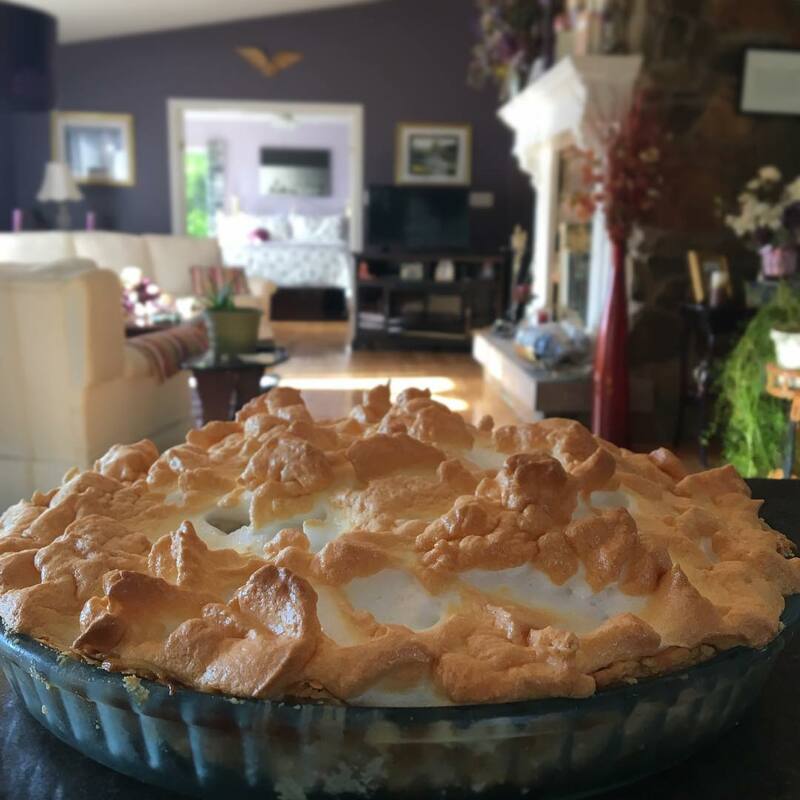 Cover pie with meringue. Bake at 325* F until very lightly browned.